Butterworth 8 is located along Tanjong Katong Road, it is a nostalgic precinct embedded with a rich heritage. It is easily accessible with Paya Lebar MRT within 10 minutes walk and major expressways like the PIE, ECP and the Nicoll Highway. Good schools such as Tao Nan, Tanjong Katong Girls’, Kong Hwa and Chung Cheng High are within 1 km radius. Nearby amenities include large shopping centres such as Parkway Parade (with GIANT hypermarket) and City Plaza. The Singapore Post Centre and markets along Geylang Serai are a stones throw away. Butterworth 8 is also the largest freehold condo development in the Tanjong Katong vicinity, with a total of 216 units spread over three 18-storey blocks. There is a wide selection of 2, 3 and 4 bedroom units with sizes from 1,022 sq ft to 1,970 sq ft. The clubhouse is unique as it looks like it is afloat the pool. Facilities includes a 25-metre swimming pool, BBQ pits, Jacuzzi, Gymnasium, tennis court and outdoor fitness stations. Every unit at Butterworth 8 is pre-wired with CAT 5 data / telephone points in all bedrooms, the living room and kitchen. Broadband Internet access is available in all rooms and the web portal (provided by a service provider at a fee) provides a whole range of e-services for the residents. Quality well maintained condo with lush landscape developed by Keppel Land - known for it's A class grade. Best maintained full facilities condo in that area that is affordable and family-friendly. It is a fantastic property, with quality construction and landscaping. Very well maintained. one of the very few condos of Tanjong Katong Road will full condo facilities. 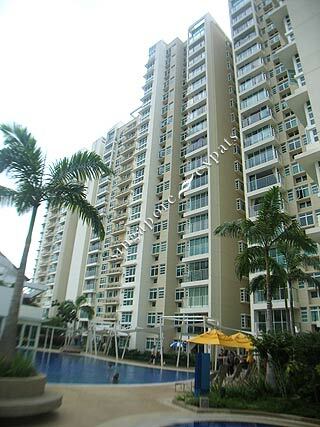 Very close to MRT, eateries, East coast park and CBD.